A switch from the glide to the spin has Payton Otterdahl threatening the Collegiate Record in the shot. 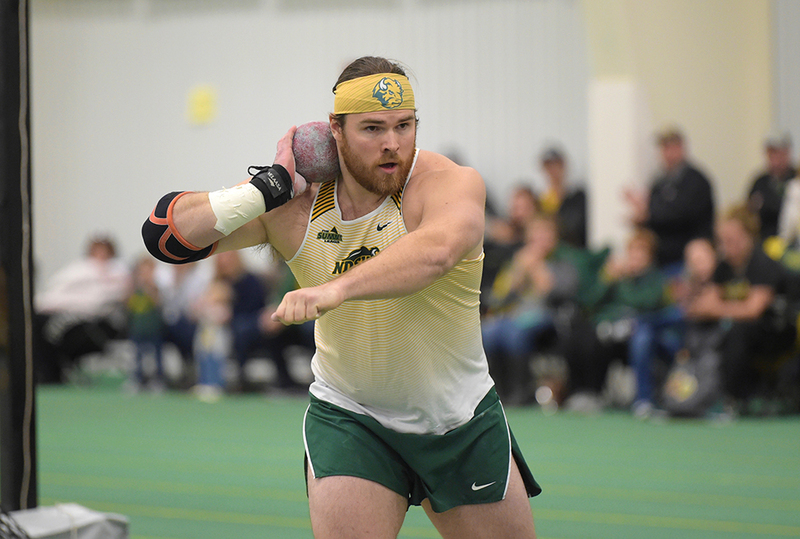 When shot putter Payton Otterdahl tossed a world-leading 71-0 (21.64) at Nebraska’s Colligan Memorial, it was the culmination of a technical change that started his sophomore year at North Dakota State. Says the Bison senior, “That’s kind of the centerpiece.” The centerpiece finds him at No. 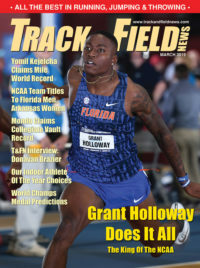 3 on the all-time collegiate indoor list (see sidebar), just 3½ inches off the CR. A 61-½/177-7 high school thrower coming out of Rosemount, Minnesota, Otterdahl had two state titles to his credit. As a frosh in Fargo, his biggest improvement came in the discus, winning the ’15 USATF and Pan-Am Junior titles. “Back then I would have said the discus was my best event, But things have changed a little bit,” he says. That prophecy came true last season. He threw 64-4½ (19.62) indoors, then went on a tear outdoors, notching four PRs in his first five meets, topped by a 68-9¼ (20.96) to win the Summit League. In that sense, Otterdahl wasn’t blown away by his 71-footer, or the 69-11 (21.31) PR that preceded it in December and moved him to the cusp of the all-time collegiate indoor Top 10. “Obviously everyone always wants more distance, but it’s not like anything shocking,” he says. He’s also close to the all-time collegiate Top 10 in the weight, his 77-8¼ (23.68) toss from January making him the yearly NCAA leader. It was parental encouragement that led the 22-year-old Otterdahl to our sport. 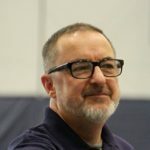 He joined track in middle school “but wasn’t a fan of the running events.” That put him in the throws, which seemed to blend well with his other pursuits, football and wrestling. In fact, wrestling was his favorite at the time and he even though about doing that in college, but his parents pointed to his success in the throws and suggested that he focus there. That was good advice for the whole family. His brother Trevor followed him with all-state honors in high school and is now a soph at North Dakota State. Another sibling, Maxwell, has thrown 58-7¼ as a prep and has committed to come to Fargo next fall. With graduation looming, Otterdahl sees himself wanting to go after Worlds and Olympic berths. “I’ll still be competing for sure,” he says.